paulrhien | Build. Connect. Engage. There are many reasons that a merger or acquisition may be attractive for many companies. The transaction provides a strategic opportunity to grow market share, increase performance, decrease costs, or eliminate competition. For example, it is reported this week that with the acquisition of Yahoo, Verizon hopes to grow its new media empire. As this acquisition proceeds, these media giants must be proactive in communicating with employees using a variety of internal communications tools to influence employee discussions. At the time of the merger, there were many complex issues for managers to sort through and take action on. However, it can be argued that managing the people of each of the organizations through a strong internal communications plan is among the most important factors of the merger’s success. Mergers and acquisitions bring significant change to both companies involved and it is the goal of internal communications to lessen the impact to employees. It is easy for employees of both the controlling and subordinate organizations to get caught up in the uncertainty and speculation surrounding the changes. Internal communications aims to get buy-in from employees and keep productivity high throughout the process. Consistent, frequent, and honest communication from management shares a positive and clear vision for the path forward. This has the power of shaping the internal tone for the entire process and positively influence employee discussions. Managers may not have all answers, but a free flow of information (as it becomes available) can give employees of both companies confidence in the way company leadership is handling the transaction. In the absence of timely communication, employees will circulate rumors about pending layoffs, changes to the company culture, and discuss whether the acquisition was a good or bad idea, etc. At the time of the merger announcement, merging companies have a variety of internal communications tools to address changes happening within the organization. An email from the CEO, intranet articles, FAQs for managers, and corporate videos are a good start. However, providing adequate budget resources for a more comprehensive communications plan will help provide ongoing leadership through the post-merger phase. The combined organization has the ability to create specially branded communications on a frequent basis throughout the process to keep employees fully informed of business information, such as merger / acquisition progress, direction, developments, goals, etc. Other important announcements and day-to-day communication regarding organization and business changes can be sent regularly via email. Employee intranet serves as an important resource for employees to find an extensive library of information regarding company policies and procedures, as well as other important business information including HR (benefits), training and orientation materials, etc. Video and training webinars help promote alignment of the two organizations, help all employees understand changes, and help employees own the corporate vision. This may include regular live-stream video of large group meetings with company leadership to assist in culture building. These open town-hall-style events give leaders an important opportunity to listen to valuable feedback from across the organization. Real communication is two-way, and includes a critical listening component. Company leadership will have many seemingly important roles during the merger, but being fully committed to listening to employees will be of greatest importance. Through a strong commitment to internal communications throughout the acquisition process, company leaders can engage employees and create a strong, united culture. When working on developing marketing strategy, I rarely use the term ‘millennial’ to refer to young adults ages 19-35. As a member of this supposed cohort, I don’t feel that the stereotypes that many associate with the term are respectful of the contribution that young people make in our society. Believe it or not, our generation are not all entitled, distracted, and self-centered. Young adults are still valuable, contributing members of society. It might be convenient for demographers to group us into one neat and tidy category, but far too often I find the term to be over-generalizing and even patronizing of this young generation. I believe the term ‘millennial’ has almost become derogatory, and unfairly characterizes a large and valuable segment of our society. You won’t find me using it very often. No one could have predicted 10, 20, or 30 years ago that in 2014, TV would be on its way out, newspapers would be struggling to stay alive, that we would carry powerful cell phones and mobile devices that fit in our pocket. Nor, in many ways, are we able to know with great certainty what the future will hold. We can speculate on the future of the trends we discuss, but it is difficult to know what great idea will emerge or catch on. It is amazing to think of some of the innovative possibilities. I am fascinated that companies, big and small, are able to disrupt norms by innovating and “changing the game” – sometimes even fundamentally changing the way that we live our lives. One technology trend worth paying attention to is the shift in traditional television and entertainment viewing. I recently heard a new term “Cord Nevers”. Not only do we have a large population that are choosing to no longer subscribe to paid satelite or cable television (“Cable Cutters”), but we also have a generation of younger, tech-savvy consumers who havenever before paid for cable, and are not be able to justify the steep expense. For this group (of which I am a member), when the power of a high-speed internet connection is combined with the popularity of smartphones and tablets, downloading full-episodes and other free or paid content online makes more sense. Could the cable television industry go the way of the land-line telephone service provider or the newspaper industry? Is there a significant decline ahead as consumers change the way they view media content? Services like Netflix, Hulu, Amazon Instant are not only delivering content to consumers, but some have begun a new trend producing their own original content. Products like Roku, Apple TV, and Google Chromecast allow media- viewers to purchase TV shows and movies in digital format and view on th eir television. These products also allow viewers to mirror streaming content from their mobile devices to their TV sets. Mobile devices are really the ones stealing the show. People are spending more time on cell phones and tablets, and less time watching TV. In the end, will cable companies be able to survive if they don’t adjust to industry and lifestyle trends? During a recent presentation to an audience at Brigham Young University’s Education Week, LDS Church Leader (and former president of my alma-mater BYU-Idaho), David A. Bednar spoke about the power of today’s media in spreading goodness in our society. While his remarks were given in a religious context, referring to ways in which Christian believers can share their faith in Jesus Christ through social media tools, there were a few takeaways that any social media marketing user could take away from his remarks. Respect Intellectual Property. “We should respect the property of other people and organizations. This simply means that you should not create your own content using someone else’s art, name, photos, music, video, or other content without permission. 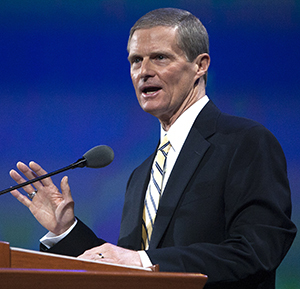 The response to Bednar’s remarks was positive, as many immediately starting using the new hashtag #ShareGoodness to create positive messages that highlight the good in the world around them. There are many examples of brands that have used their influence to make a positive impact on their brand community and others by devoting marketing resources to highlight the goodness in humanity or to promote an important charitable cause. These companies create goodwill for their brand by such messages. I would love to hear some of your favorite good-will promotion campaigns in the comments below! This blog post is the first in a two-part series. 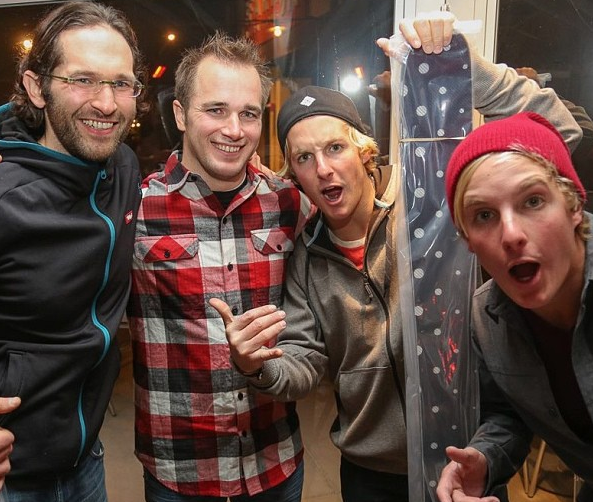 Adam Buchanan has spent his career in the field of social media marketing, particularly in the outdoor retail industry, since the early days of social media. Adam is the author of the e-book, The Never Ending Cocktail Party, available for Amazon Kindle. In Adam’s current role as the Social Media Manager for the Cabela’s brand he has opportunities to connect with people who share his passion for the outdoors. I have always considered Adam a good friend and a someone who I look up to in the Integrated Marketing Communications field. I recently asked him to some of his thoughts about a career in social media marketing, and he wrote the following article on his blog, www.adamcbuchanan.com, in response. Does social media marketing interest you as a full time career? Are your dreams filled of viral videos you create that generate millions of sales for a company? Do you sit back and dream of all the Instagrams you’ll be posting that will elevate a brand and completely transform an industry?